Sometimes just walking around town, you come across the sweetest things. 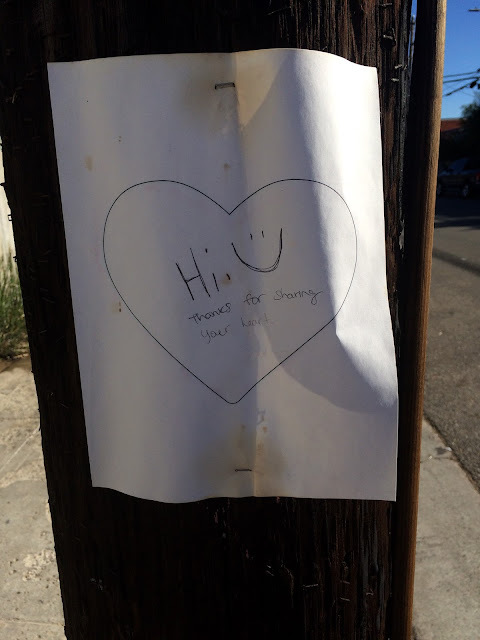 I saw this little sign on a post on Electric Avenue, and my own heart was warmed. Hi, Thanks for sharing your heart. I gather that it was first just a heart, and then someone came along and thanked them for it. I love this exchange between, I assume, strangers, and just that someone would take the time for either action. Good job, humanity! Thank you for your hearts.